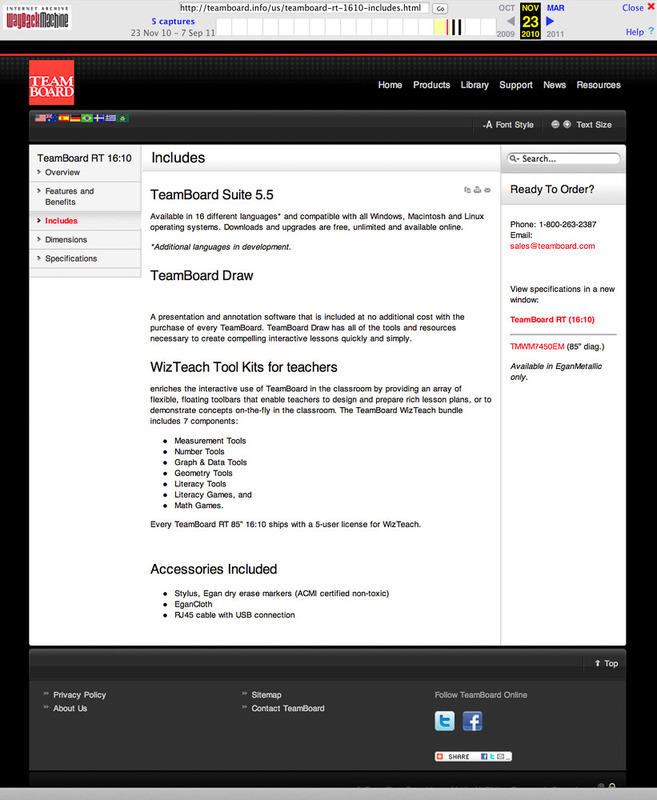 Learn more about the TeamBoard.com site from that period here. 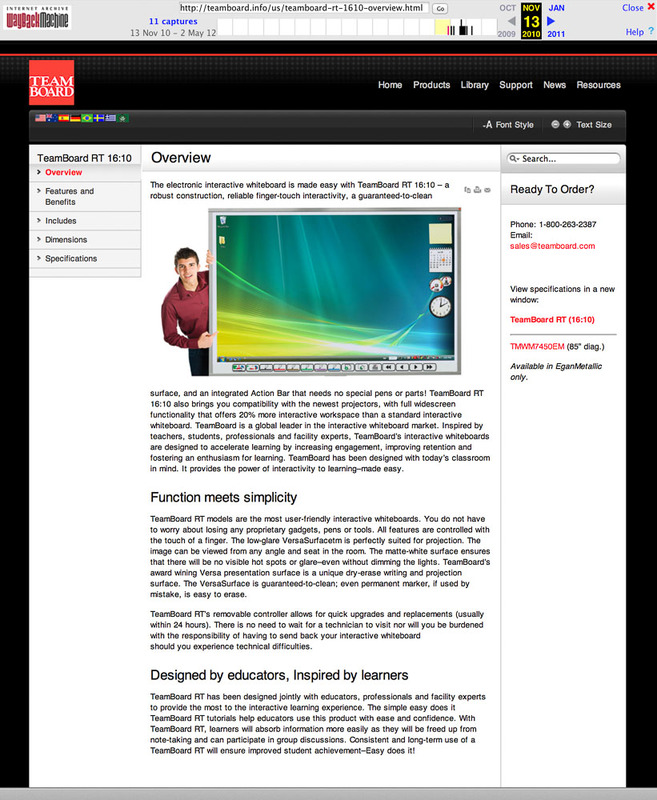 Please note that these images were retrieved from the Internet Wayback machine aka the Alexa Project. 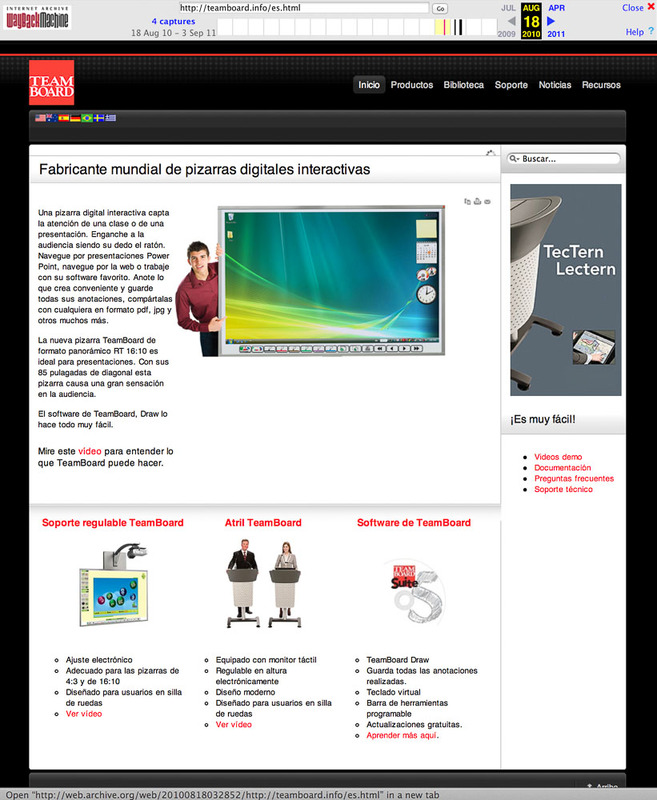 TeamBoard.com International Home Page in English. The Spanish Version of the TeamBoard Home Page. 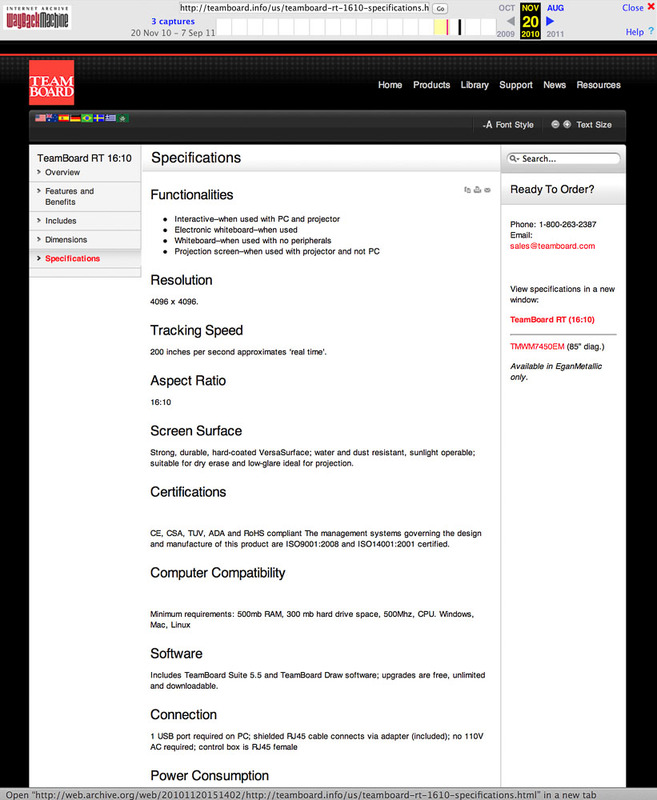 Even Australia opted to translate the site for localization. 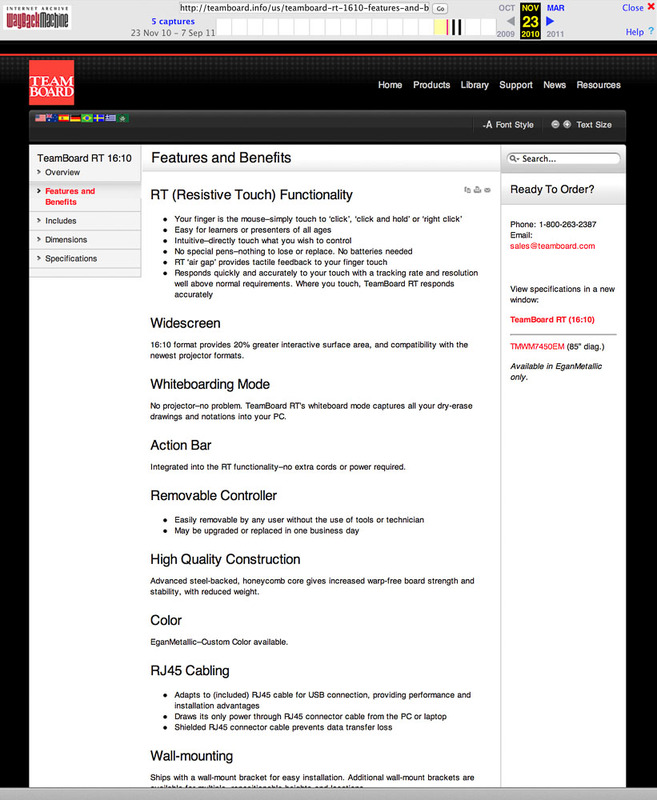 TeamBoard Product Features and Benefits page. 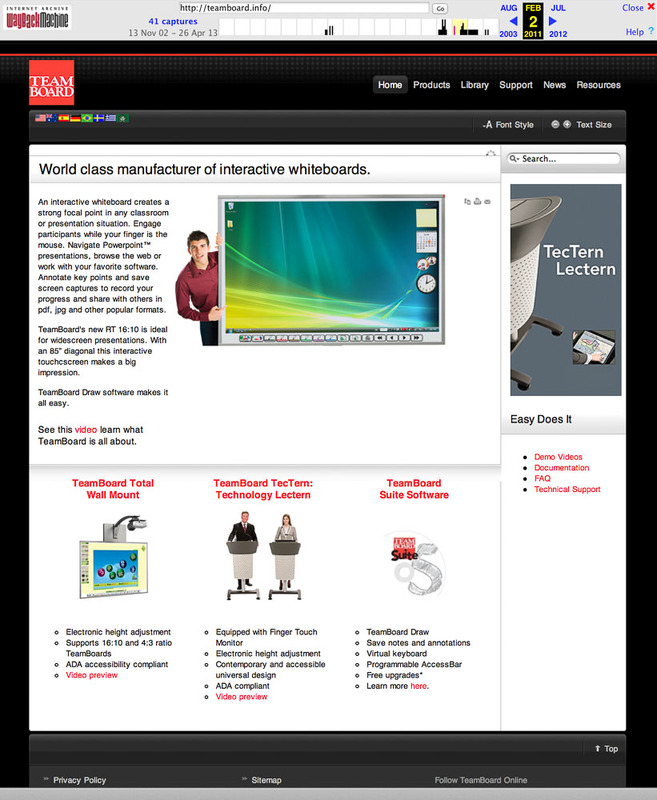 Further links across top discuss the product while links down the right offer technical detail and related products. 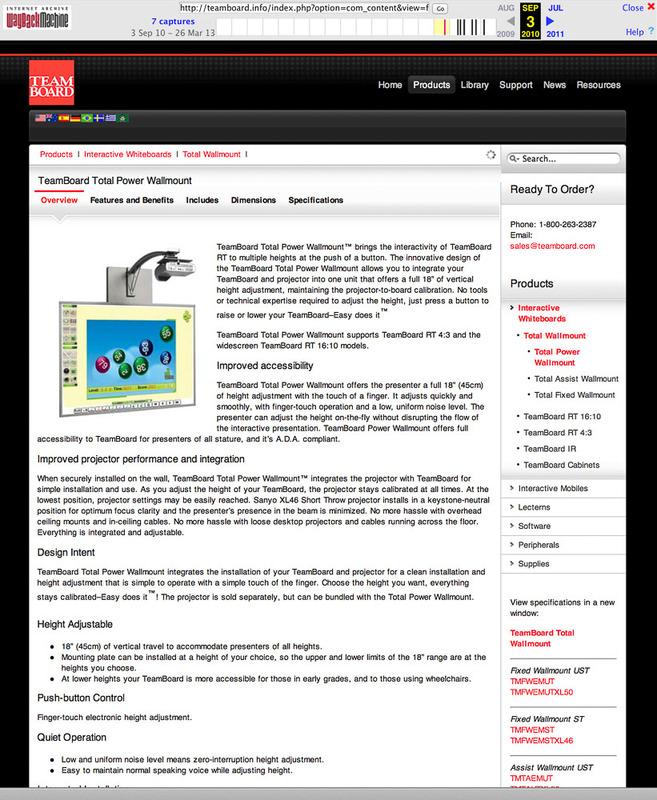 TeamBoard Product Includes TeamBoard Draw software. 1 Pings/Trackbacks for "TeamBoard.com 2010 Gallery"